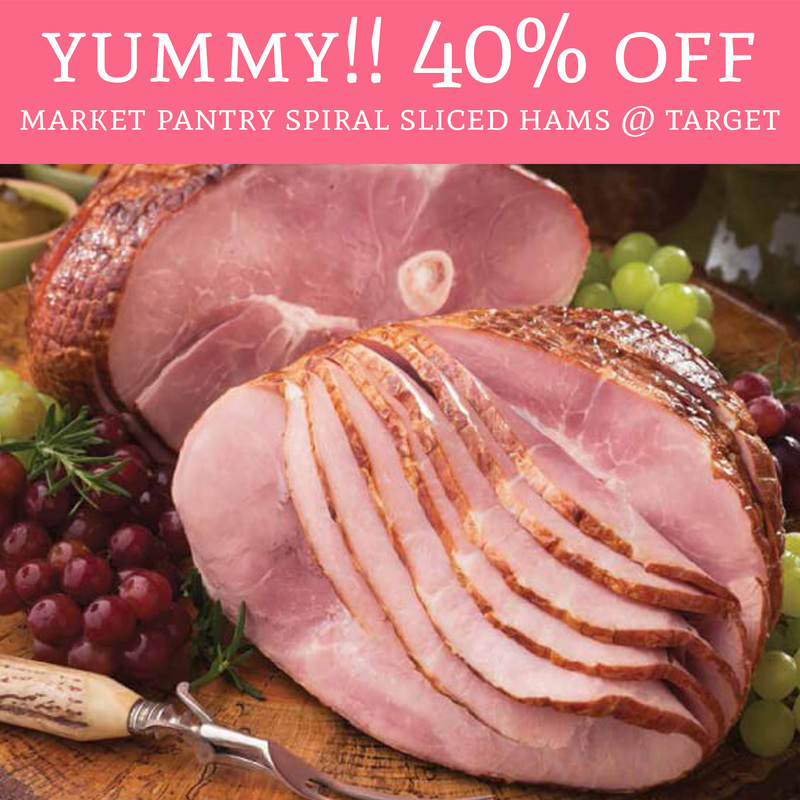 Head on over to Target to score 40% off Market Pantry Spiral Sliced Hams! Simply load the 40% off Cartwheel offer and head on over to Target and pick up a ham or 2! Easy deal and perfect to cook for a big family or dinner party! Load your Cartwheel offer here!